There are 7 vertebrae stretching between the head and the chest which make up the cervical region of the spine. The vertebrae which form the spine are cushioned by round, flat discs. When these discs become damaged it leads to an abnormal bulge or rupture, resulting in what is commonly called a slipped or herniated disc. When these discs are healthy and fully functional they act as natural shock absorbers for the spine, while also ensuring flexibility. A herniated disc may occur in any disc along the spine, but the two most common regions include the lower back (lumbar) and the neck (cervical) regions of the spine. In the United States, some 450 cases of herniated disc per every 100,000 require surgery. Men are twice as likely to need surgery as women. More than 95% of disc operations are performed on the fourth and fifth lumbar vertebrae, with the average age for surgery being between 40 – 45 years of age. 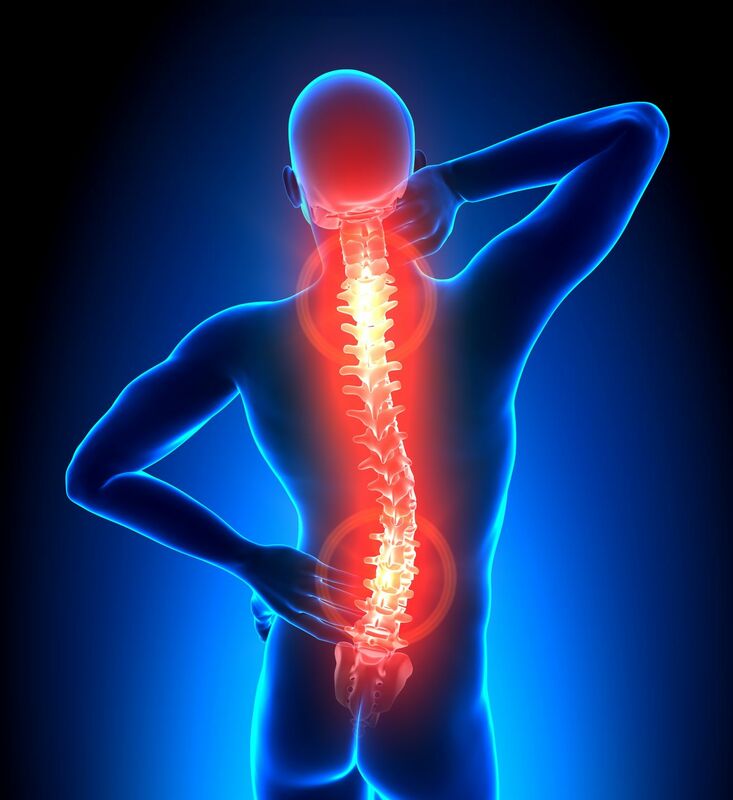 As our body’s age, the discs in our spine loose some of the fluid which keeps them flexible. Inevitably they begin to wear. It is a natural process, but in many people it is accelerated for various reasons. This process, also known as disc degeneration, is the precursor to a herniated disc. Tiny cracks in the outer layer of the disc (annulus or capsule) begin to appear. The jelly-like material (nucleus) inside the disc are forced out through the tears or cracks in the capsule. The disc then begins to bulge, break open, rupture or even splinter into small fragments. Herniated discs may be a result of intense physical activity which puts strain on the discs, or even an injury to the spine. A herniated disc in the neck will lead to weakness, numbness and pain in the neck, shoulders, chest, arms, and hands. In some cases a very large herniated disc in the neck may cause weakness or unusual tingling in other parts of the body too, including the legs. Disc herniation in the lower back leads to leg pain (Sciatica), numbness, weakness or a tingling feeling, pain in the buttocks and other related lower back pain issues. In extreme cases it may even lead to loss of bladder or bowel control. When diagnosing a herniated disc, the doctor will check your back for tenderness. A neurological exam may even be performed to check your reflexes, muscle strength and walking ability. Your doctor will refer to your medical history, such as descriptions of when the low back pain, sciatica or other symptoms occurred. If these don’t help with your diagnosis they will resort to a CAT scan or MRI scan in order to confirm if there is or isn’t any anatomical lesion in the spine. 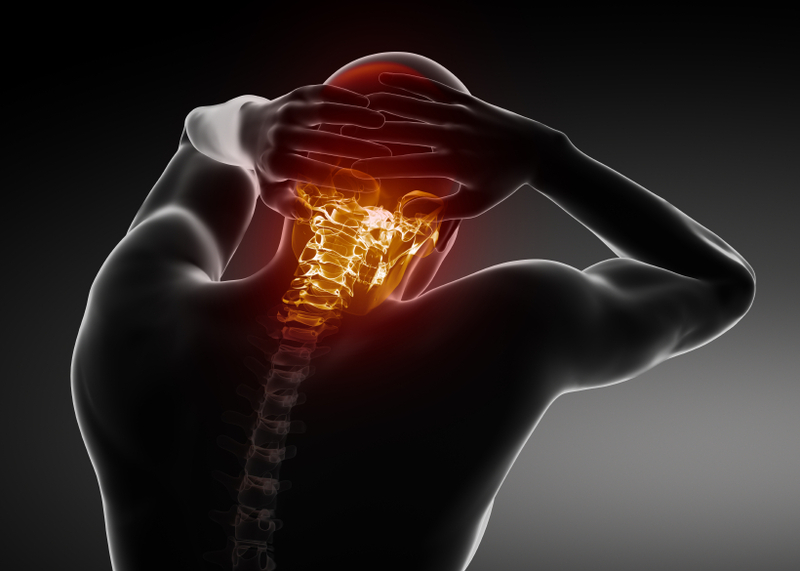 Most cervical disc herniation get better on their own over a period of 6 weeks. It is always best to avoid unnecessary surgery and allow the body to heal naturally. Exercises are used for pressing the disc, moving it forward away from the nerve, and relieving symptoms of pain. The below 3 methods are really simple and won’t take more than a couple of minutes. Lie on your stomach with your body and legs straight, arms facing forward. Arch up slightly onto your elbows bringing your hands to rest forming a triangle with your hands and elbows holding this position for 2 minutes. If this is too difficult and the extension of bending backwards is too difficult. Place a pillow where your elbows should be with your chest slightly on it, your elbows flat and to the side with both your hands resting below your chin. Known as the prone press up, lie on your stomach with your legs shoulder width apart, your elbows on the side and hands facing forward next to your head. Lift your head and look forward, this will raise your upper torso slightly off the ground. Keep your waist flat, now press up using your arms. Keep them slightly bent and make sure your hands are facing forwards. If you do this correctly, your entire back from your hip up will be facing up at a 65 to 70-degree angle. Hold this position for 3 to 5 seconds and go back down. Continue to do these, about 20 repetitions should be your goal but do as many as you can. If you struggling to do this exercise you can go up half way instead of all the way. Stand up placing your hands on your hips, bend back slightly at about a 75 to 85-degree angle. Hold for a split second and go forward again. Do this 5-10 times for 3 repetitions. Remember, if your disc herniation is severe and you cannot complete the above, just go as far as you can and work at it. It is very important that you take your time and do these exercises slowly. Over time you will find it easier and your symptoms of pain will greatly improve, if not disappear completely. For more information on disc herniation, please read Herniated Disc Relief At Last.